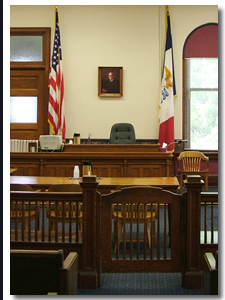 Contact an Iowa criminal defense lawyer representing clients in Webster City, Iowa today to schedule your initial consultation. Answer: A lawyer can help you to reduce your sentence and increase the opportunities available to you. Whether or not you are guilty, you have inalienable Constitutional rights, and your defense attorney can help to protect and preserve them.